The Costa Novels. Have you read them? During a snowstorm in England in 1910, a baby is born and dies before she can take her first breath. During a snowstorm in England in 1910, the same baby is born and lives to tell the tale. What if there were second chances? And third chances? In fact, an infinite number of chances to live your life? Would you eventually be able to save the world from its own inevitable destiny? And would you even want to? 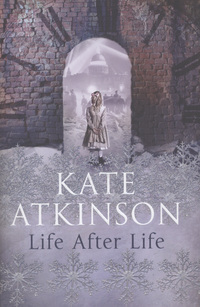 Kate Atkinson won the Whitbread (now Costa) Book of the Year prize with her first novel, Behind the Scenes at the Museum, and has been a critically-acclaimed international author ever since. Her four most recent bestsellers featured the former detective Jackson Brodie: Case Histories, One Good Turn, When Will There Be Good News? and Started Early, Took My Dog. She was appointed MBE in the 2001 Queen’s Birthday Honours List. All the Birds, Singing by Evie Wyld Another one that gets a 5 star! This entry was posted in Book Reviews, Writing competitions and tagged Book Reviews, Costa Book Awards. Bookmark the permalink.